Time to start thinking about hearts and love! 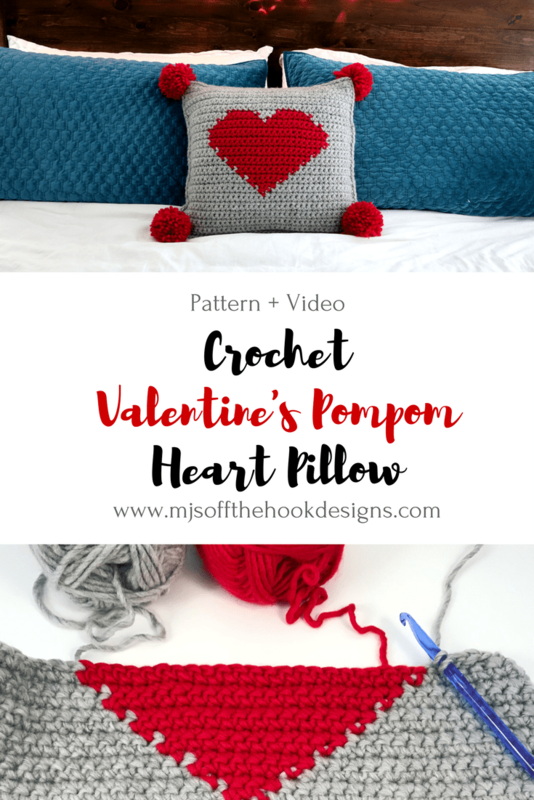 Valentine’s Day is just around the corner so lets get hooking up a fun project! Pillows are life right? Who doesn’t love a cozy pillow. We just love to pile the pillows on the beds in my house. 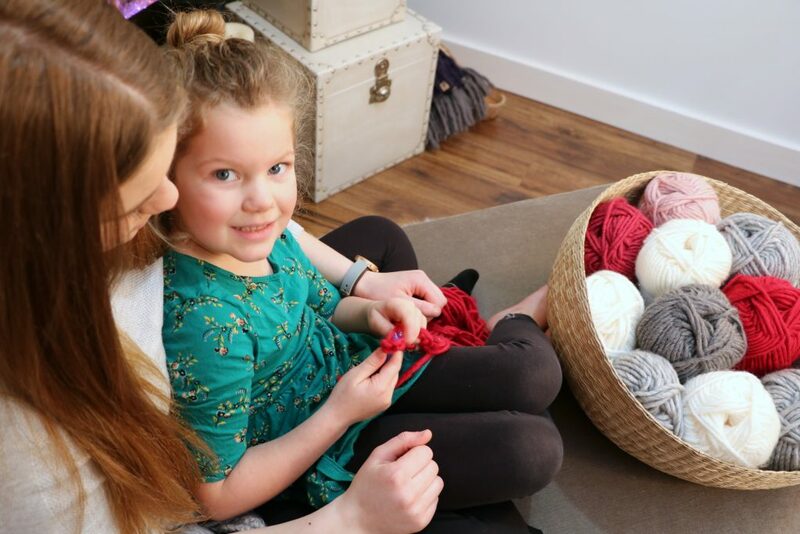 So this project is perfect for my family and I hope you’ll love it too! By the way the gorgeous pompom lights I purchased on clearance at Indigo. You could totally make your own or rush in and check out the Christmas clearance sale! I’ve had a lot of requests to make a tutorial on how to change colours. This is the perfect project to give an easy demo! 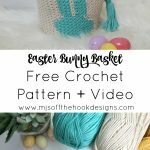 This pattern comes with a full video on Youtube! I’ve been learning how to use iMovie on my mac so I hope you enjoy the fun intro my kids and I created! I’m so pumped to reach 20K subscribers on Youtube so pls subscribe and share my videos! If you want more FREE tutorials I need your help! I made this pillow using Bernat Roving. 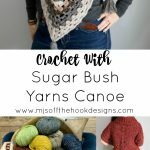 This yarn is perfectly soft and huggable! Perfect pillow making yarn. The main colour (MC) is Putty and our contrast colour (CC) is in Cherry. 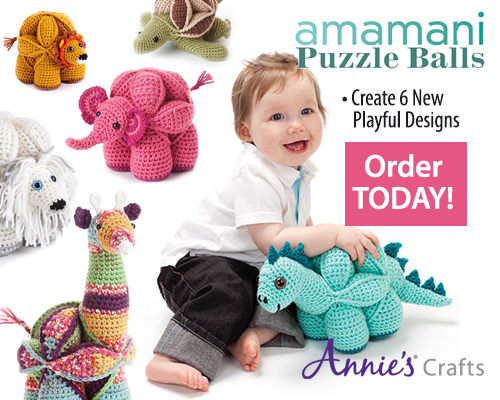 You will also need a 17×17″ pillow form and a 9mm crochet hook. 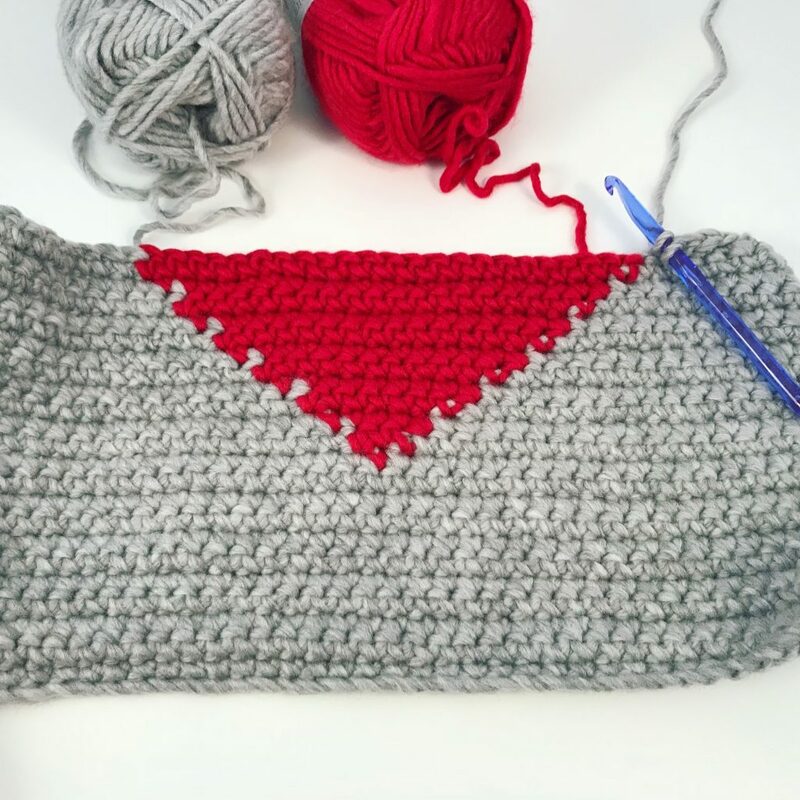 This is a great beginner project that’s fun for all ages! 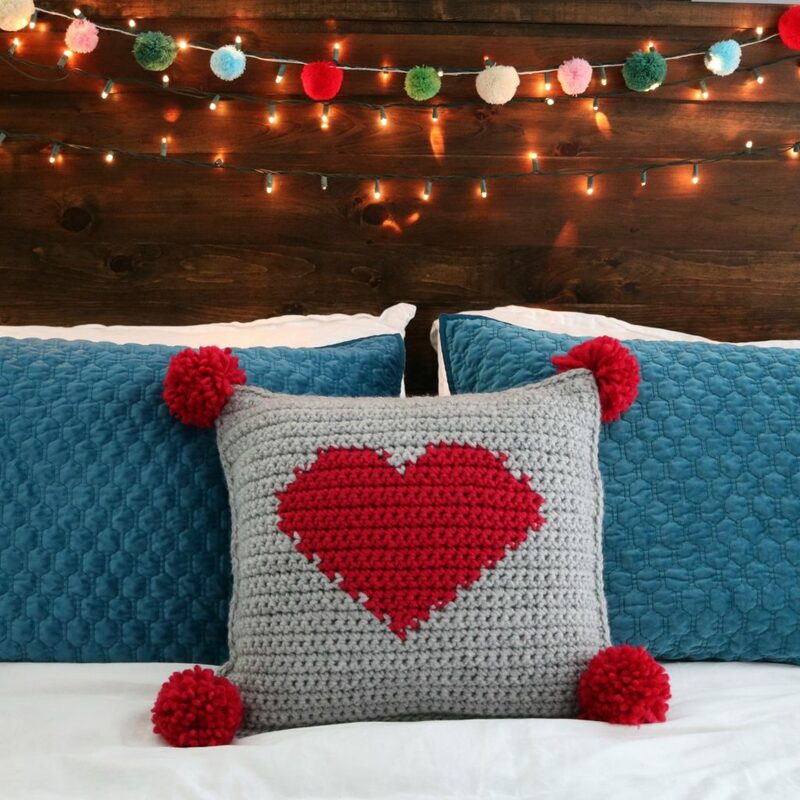 I made this pillow for my bed but my kids love it so much they’re actually inspired to make their own! (yes! nailed it!). I helped my daughter graph out her favourite saying for hers (watch for that pattern soon!). When changing colors, work last yarn over of last stitch with next color. Turning ch-1 does not count as a stitch. Row 1: With MC ch 40, work 1 sc in the 2nd ch from hook and in each ch across, turn—39 sts. Rows 2-10: Ch 1, work 1 sc in each st across, turn—39 sts. For the following Rows; Ch 1 at the beginning of every row, work 1 sc in each of the following sts changing colour as indicated. At the end of each Row turn. Row 30-39: Ch 1, work 1 sc in each st across, turn—39 sts. After Row 39 Fasten off and weave in ends. Block pieces if needed to measurements. Line up front and back with WS facing. With MC at top left corner join yarn through both Front and Back pieces with a sl st. Ch 1, work 1 sc in each sp, working through both front and back piece to join. Work sc sts around pillow adding 3 sc in corners. Complete 3 sides then insert pillow form inside case. Finish working sc sts along final side closing pillow. Sl st to staring sc to join. fasten off and weave in ends. 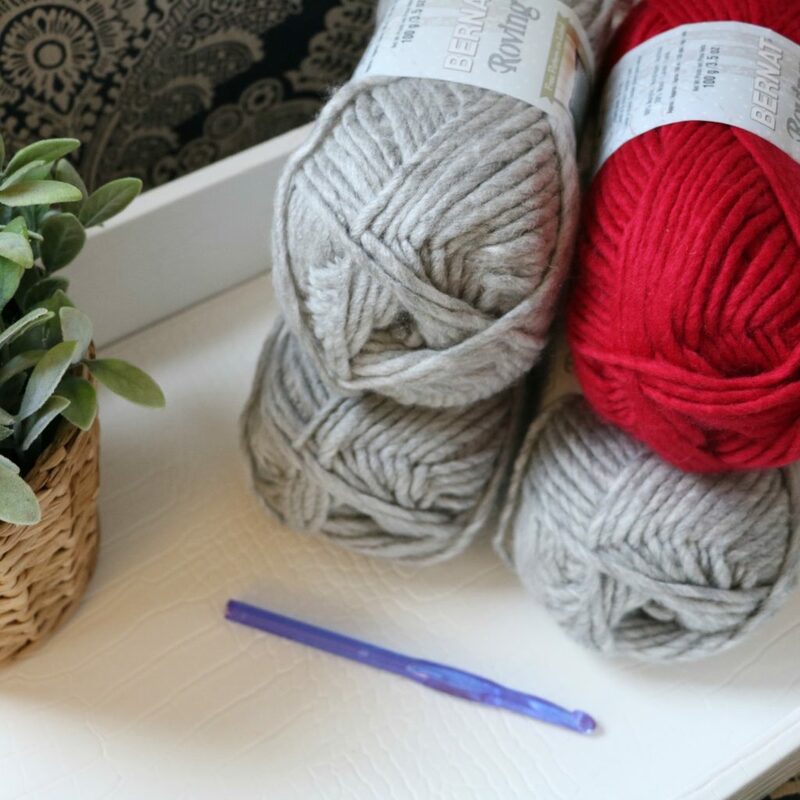 With CC wrap yarn around your hand or cardboard 60 times. Remove and tie 1-2 strand of yarn directly in the centre of loops made. Trim loops then trim pompom to shape. 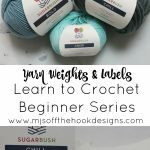 See video tutorial. 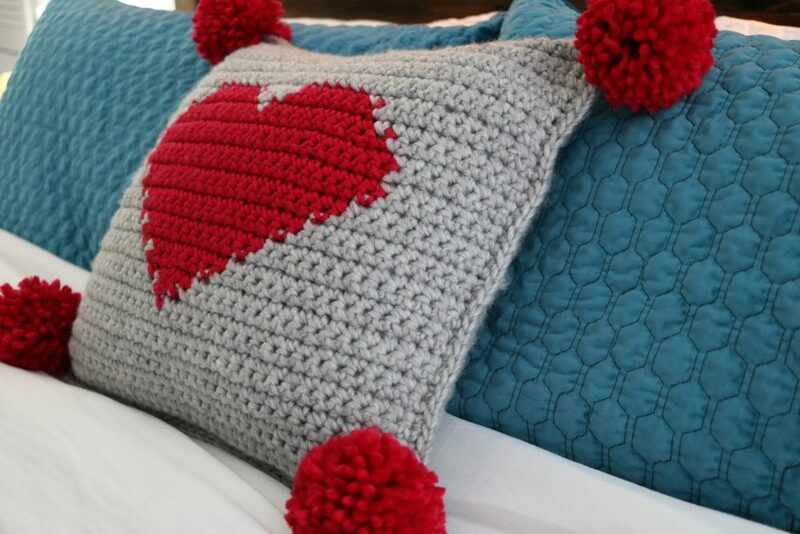 Tie each pompom to 4 corners of pillow. Tie in a bow for easy washing removal. This pattern is the sole property of MJ’s Off the Hook Designs. 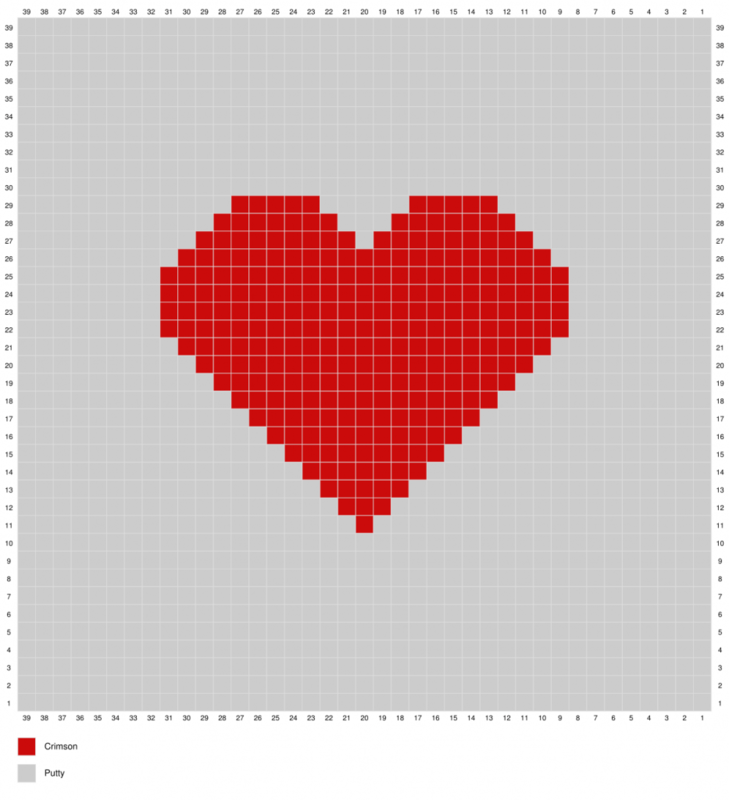 This pattern is copyright protected and cannot be copied or reproduced in any way. 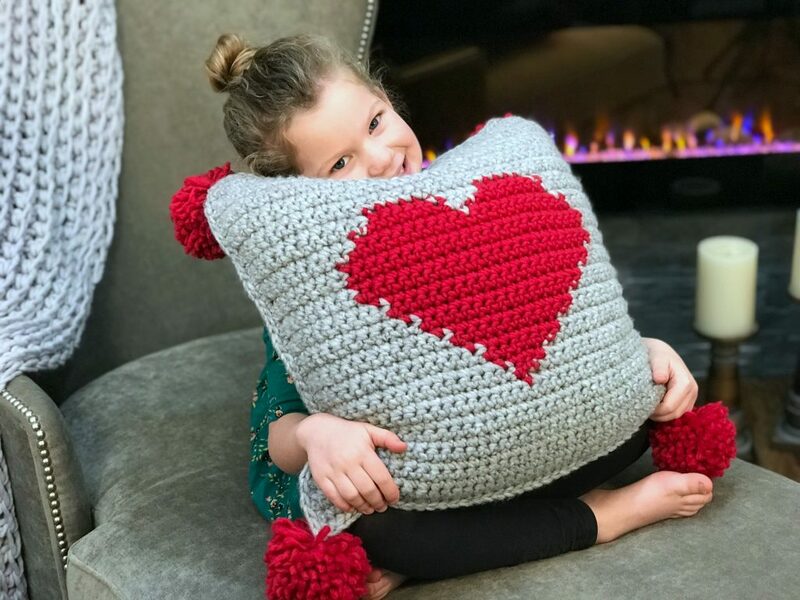 You are welcome to sell your finished items from this pattern. I require a reference or link for my design. My photos are copyright protected and are not to be used to sell your items. This pattern is written in Standard American Terms.